Step into this secret paradise. Soak up award-winning expertise in our luxurious Koh Phangan spa, a sanctuary inspired by cultural traditions, jungle beauty and sea views. 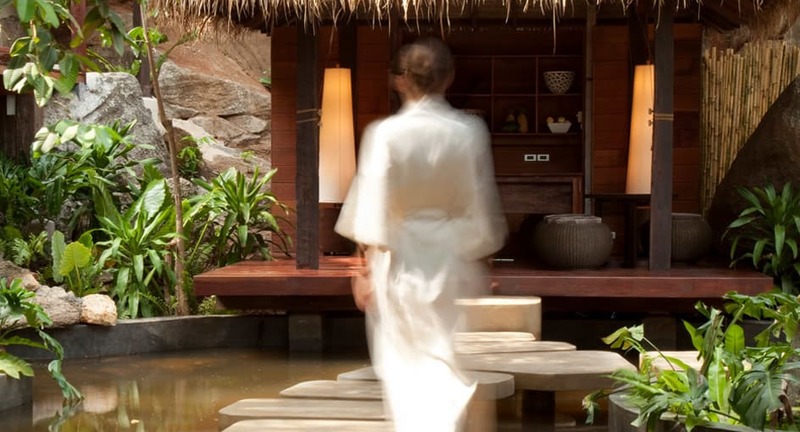 Anantara Koh Phangan Spa is the place to unwind and settle into island life. A unique haven where ancient wellness traditions from Thailand and across Asia are practised to precision. Discreetly nestled behind the resort amid towering palms and with sea views, each of the treatment rooms are embedded into the dramatic limestone cropping. Let skilled hands heal and indulge with a loved one in a couple's room. This soothing treatment is the perfect tonic for a hot beach day, combining a relaxing floral oil massage with a cooling after-sun soother to refresh body and mind. You will be left with increased circulation, muscles feeling refreshed and your skin nurtured and replenished ready for your next island adventure. Every step of this sequence of treatments celebrates Thai culture. Our team of experts use local exotic ingredients and holistic techniques to take you on a journey from head to toe, leaving you feeling relaxed and flexible. Muscles will be eased with a Thai Herbal Steam, your skin will be left feeling polished with an Essence White Coconut Scrub, and you will gently be put through your paces with a Traditional Thai Massage that combines stretching techniques with acupressure. Our signature massage promotes relaxation and restores energy flows along the meridian lines. By carefully blending oils with techniques from both the east and the west, your circulation will be stimulated and the traditional Thai ingredients will leave you feeling nourished and full of vitality. I absolutely loved the spa and found it to be wonderful service and a fantastic atmosphere.